Evo & Grace: The WanderLusts: #MrsFieldsMoments: We Missed Mrs. Fields! Way back when we were in Manila, I once brought home a Mrs. Fields cookies to my daughter. She loved it instantly! We munch over the cookies while watching her favorite Dora CD. When doing the grocery last weekend, we came across the chiller and the kids saw this ice cream, of course Mrs. Fields flavored it is! Chewy Fudge cookie it is! AS soon as we got home, little girl started eating her share of the ice cream! Look how much she love it! With all her smile. I can never blame her for loving Mrs. Fields, it's really delicious. Having said it all, Mrs. Fields cookies are really one of the best product I've known, taste-wise. When we have a pack of it, my girls have the biggest smiles on their face, they really love the soft, chewy and delicious cookie. The fambam is really having a great family time, watching movie and munching on the favorite cookie we all love! I also heard a news about Mrs. Fields, that they had this partnership with USO and have this campaign about bringing families together. They also have this contest that says: "Share #MrsFieldsMoments & Win! Show us your cookie moment, win the trip of a lifetime!" --You guys, better check this out! 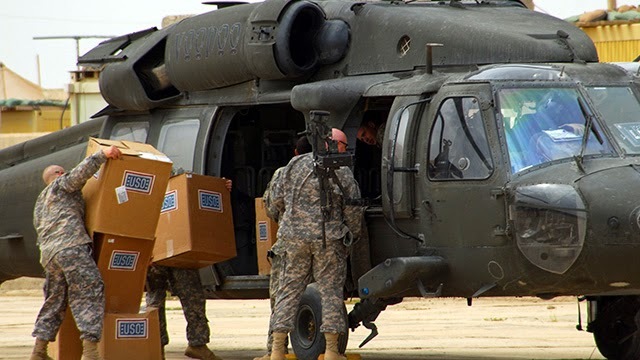 Too many people don’t fully understand the real challenges – big and small – that our troops and their families face, but the USO (United Service Organizations) does. From the front porch to the front lines, there are countless everyday moments that our troops and their families sacrifice due to their commitment and service to our country and many of us unknowingly take these everyday moments in our lives for granted. Whether its family dinners and date nights, children’s births and bedtime stories, or after school snack times that our troops and their families miss, the USO wants to help give these moments back. The USO’s Every Moment Counts campaign was created to rally Americans to help the USO provide simple, everyday moments that mean so much to our troops and their families. The challenges of military life do not end when deployment does. 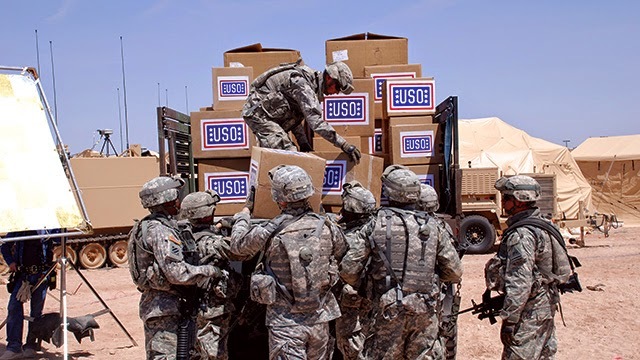 For this reason, USO is committed to helping our troops and their families throughout their service – making every moment count – whether they are deployed or returning home. With Mrs. Fields Moments, we’re encouraging all families — military and otherwise — to make the most of every moment and dedicate every Sunday night to creating more memories. With our family conversation starters and collection of Sunday Snacktivities, we’re hoping you’ll take this one night to slow down, grab a box of Mrs. Fields cookies and truly savor your Sunday with the family. We’re putting our money where our mouth is — literally. 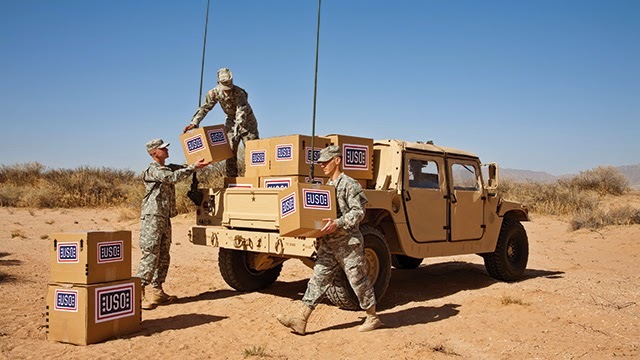 As a proud supporter of the United Services Organization (USO), Mrs. Fields is donating 35,000 cookies for use in USO2GO kits, which are provided to troops stationed in the most remote and restricted locations. Deployments can mean missed moments large and small, and this is just one more way we’re helping troops and their families savor more moments that matter. The Company is a well-established franchisor in the premium snack food industry, featuring Mrs. Fields® and TCBY® as its core brands. Through its franchisees' retail stores; it is one of the largest retailers of freshly baked, on-premises specialty cookies and brownies in the world and the largest retailer of soft-serve frozen yogurt with live active cultures. Its franchise systems operate through a network of more than 950 franchised and licensed locations throughout the United States and in 23 foreign countries. In addition, it operates an internet and catalog gifting business, a branded retail business and has entered into licensing arrangements that leverage awareness of its core brands among its retail customer base. The Company is currently relocating their headquarters from Salt Lake City, Utah to Broomfield, Colorado. 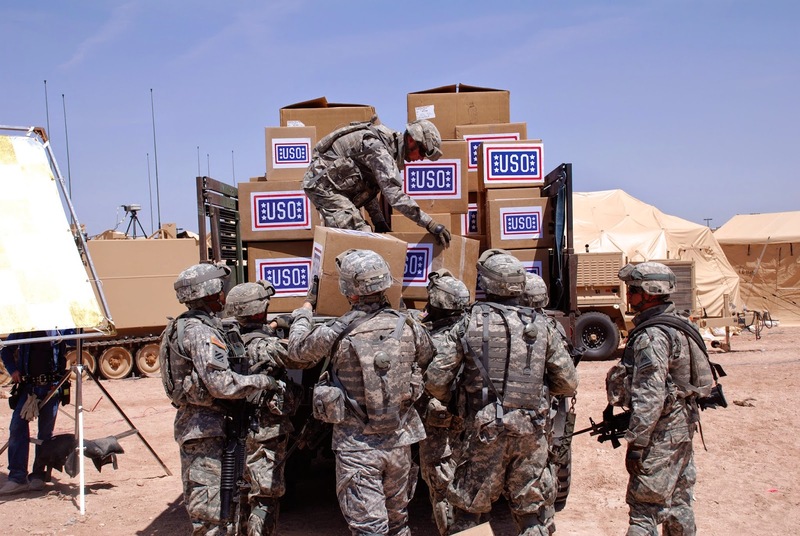 The USO lifts the spirits of America's troops and their families millions of times each year at hundreds of places worldwide. We provide a touch of home through centers at airports and military bases in the U.S. and abroad, top quality entertainment and innovative programs and services. We also provide critical support to those who need us most, including forward-deployed troops, military families, wounded warriors, troops in transition and families of the fallen. The USO is a private, non-profit organization, not a government agency. Our programs and services are made possible by the American people, support of our corporate partners and the dedication of our volunteers and staff. Headquartered in Richmond, VA Interbake Foods LLC is a baked goods manufacturer with over 110 years of business experience. Interbake Foods is the North American cookie and cracker Division of Weston Foods. This includes Interbake Foods in the USA and Colonial Cookies Limited in Canada. Weston Foods' mission is to be recognized by its customers as providing the best bakery solutions in North America and Interbake is privileged to serve the marketplace with our award-winning products and services. Interbake Foods consists of three distinct business segments: Retail Private Brands, Contract Manufacturing and Girl Scout cookies through our ABC Bakers Division. That ice cream looks so delicious! I wonder if it is made with real sugar and not high fructose corn syrup? I am going to buy some of those cookies, as we love to support our troops! What a great post and very good information . 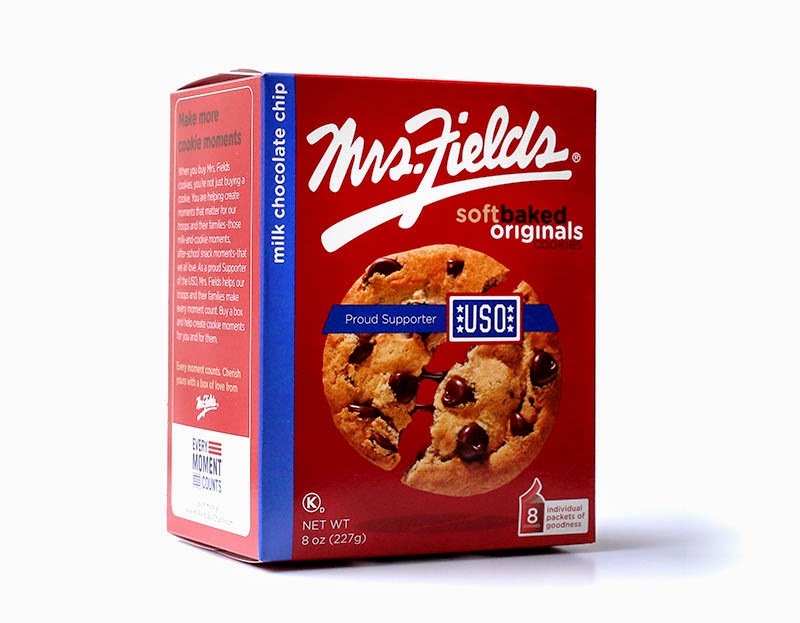 I love Mrs. Fields cookies and it great to see they are supporting the USO. I will be buying some cookies asap. This is a really great cause. Serving our country is stressful for more than just the troops. Their families have to deal with uncertainty, fear, and moving ever few years. Thanks for the great post. This is fantastic! What a special way to bring a little bit of home to our men & women. What a gorgeous little girl! Would love love to try this ice cream. Love Mrs Fields Cookies!!!! Wow! I love that Mrs. Fields is donating! What a wonderful idea and cause! That is really awesome!! Love the sharing and the pictures! I've always passed by the Mrs. Fields cookies booth but haven't tried their cookies because they're pretty expensive. Wow, this is an impressive movement for a cause. 35,000 cookies is a lot! Oh wow! Give me that right now! Oh yum! And for such a great cause! This is a win-win for sure. I love the Mrs. Fields moments campaign. It is so important to spend as much quality time with your loved ones as you can. Make tons of memories. I haven't had Mrs Fields cookies in ages. I didn't even know they had ice cream. I'll have to look for in next time I'm at the supermarket. These cookies sound and look amazing along with the ice cream. I think it is important for family to get together for family time at least once a week. Kudos to the USO and Mrs.'s Fields for supporting our troops. Thanks for sharing. That is amazing... I am always so impressed with what the USO does. I didn't realize there was a Mrs. Fields ice cream line! They do have the best cookies. This ice cream looks delicious and I can't wait to get mine. I'm going to the grocery store after this to purchase it. That's really nice of them to do such act. I lvoe munching on Mrs Fields cookies and I am glad that they help people.